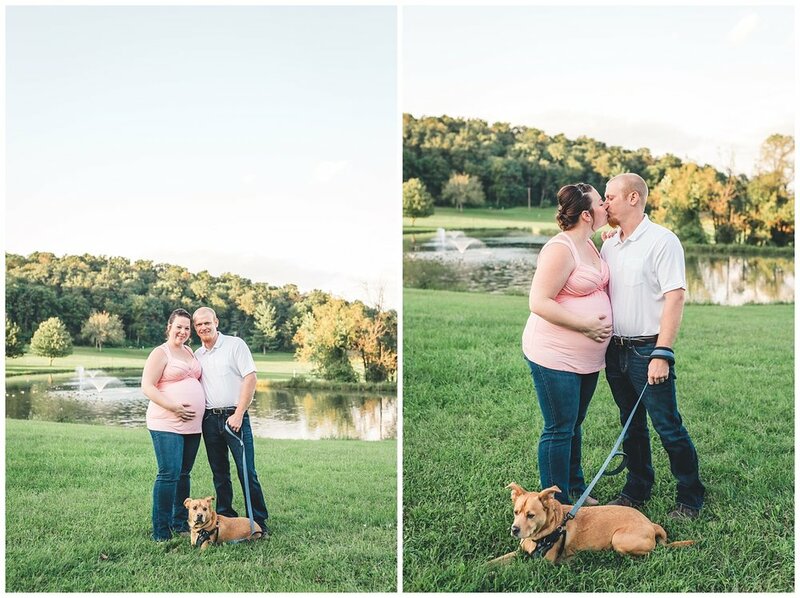 When Debbie contacted me about doing a fall maternity session with her husband, of course I was excited, as I love capturing couples as they get ready to welcome their first baby into the world. 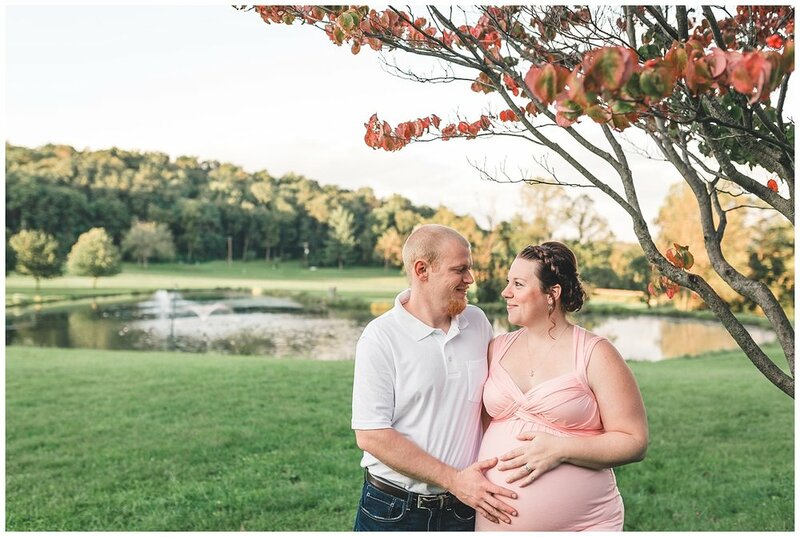 She loved the look of fall pictures, but we knew we would have to do our session before fall really arrived here since she was due in November. We decided to do the session at a local park, and we actually managed to find a tree with pretty fall-colored leaves, so that was neat. 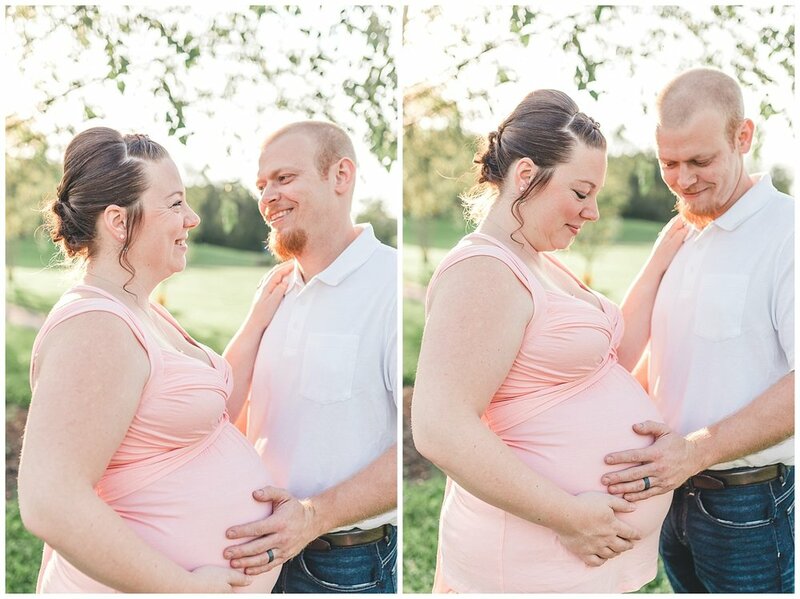 We did this maternity session at the end of September, since she was due in November, and I’m so glad we got it done when we did, since sweet baby Lilian Grace ended up being delivered early. 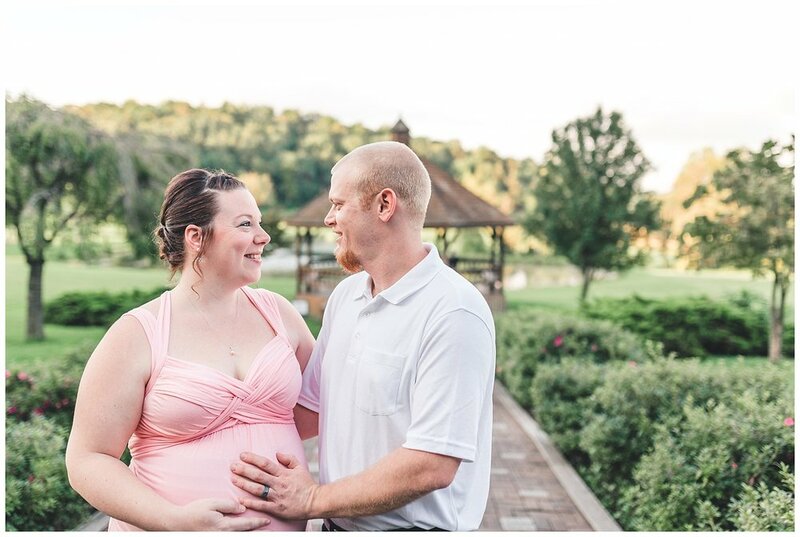 Our session was September 29th, and less than 2 weeks later, baby Lily was here already after a whirlwind labor and delivery! I can definitely sympathize with that kind of delivery, after having an emergency C-section with my first. It’s a roller coaster of emotions for sure! Anyway, after a little NICU stay, baby Lily is growing like a weed, doing great, and is now 5 months old! I’m so happy that we got these pictures done just in time! 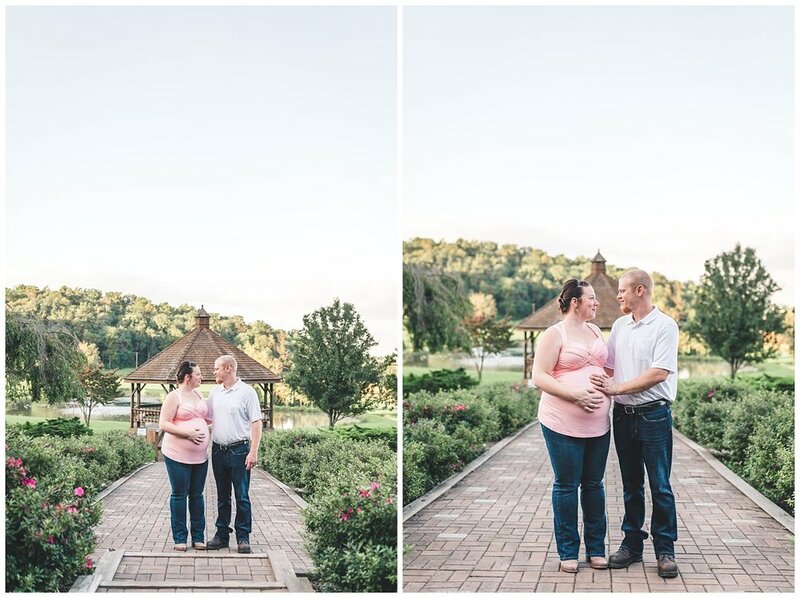 Here are some of my favorites from our session! When people ask to include their fur babies, I always say yes!! Ripken was Doug and Debbie’s first “baby,” so it only made sense that they include him in some of these family pictures. And he did so well!